After dozens of high-profile arena upgrades, the Mountain Productions Venue Installations team is bringing their world-class expertise to Europe, the Middle East and Africa, beginning with a long-awaited trip to Dubai. The Mountain Productions venue installations team, led by Director of Venue Installations, David Piccola, is expanding their highly-sought-after capabilities to the EMEA. Working with their affiliate office in Dublin, Ireland, the Venue Installations sector is the next solution to be offered globally by North America’s largest staging and rigging company. 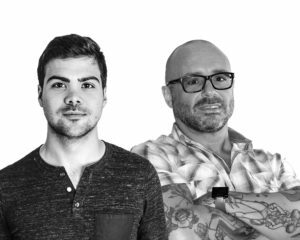 Piccola, who has spent most of his adult life in rigging, began focusing on permanent venue installations while rigging for Cirque Du Soleil. A focus on safety and industry-leading technology soon became his professional passion. The venue install team is currently on scene revamping the new home of the Milwaukee Bucks. 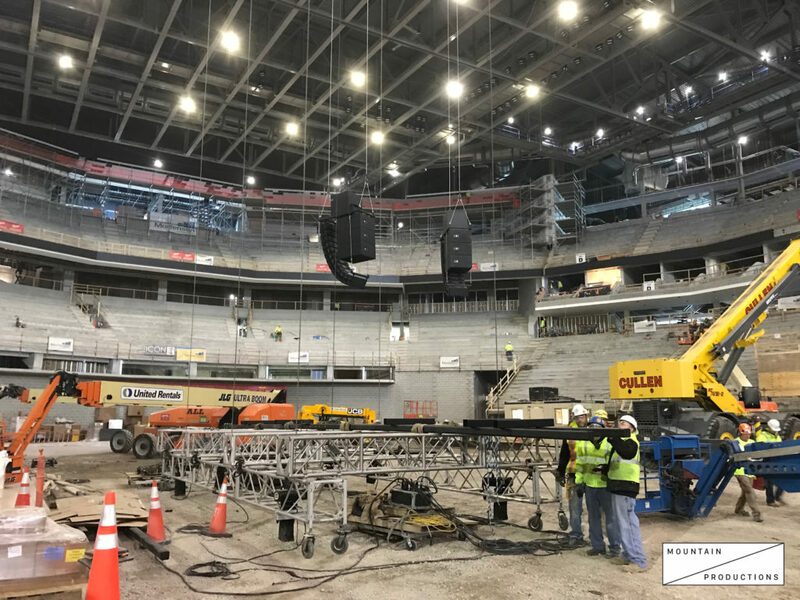 Mountain Productions’ most recent permanent venue installations include projects for the Miami Heat, Milwaukee Bucks, Detroit Red Wings and Pistons, New Jersey Devils, Detroit Lions and the Baltimore Ravens. Having worked within ten countries, he is no stranger to global projects of importance. He has even installed an automated rigging system in the first soccer stadium ever in Qatar, in preparation for the 2022 FIFA World Cup. 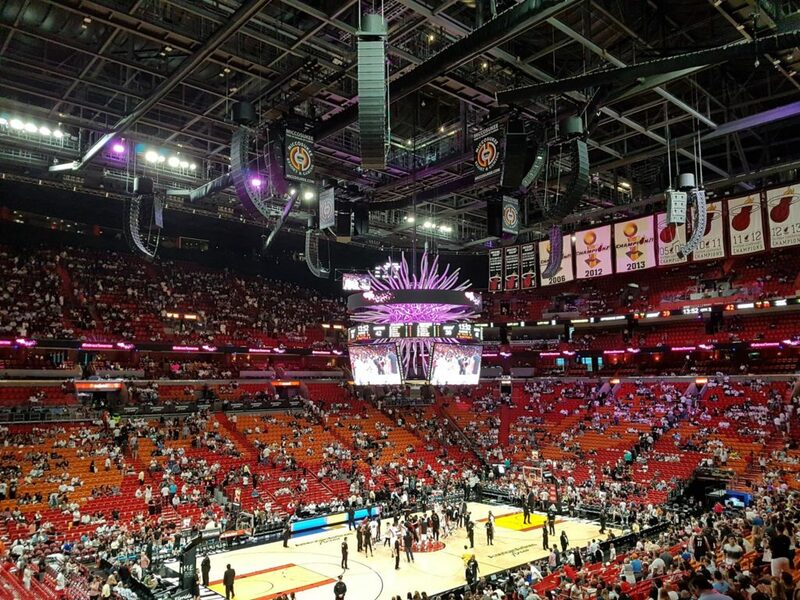 The Mountain Productions Venue Installations Department recently completed upgrades for the home of the Miami Heat. Piccola will be joined in Dubai by Mountain Productions’ Director of International Development, Ron Rose. Rose has spent the past several years expanding Mountain Productions’ reputation as North America’s leading event production company on a global scale. 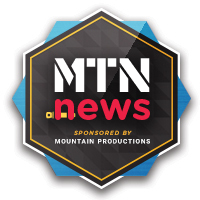 For information on our worldwide capabilities in Europe, please e-mail Ron Rose, via RonRose@MountainProductions.com. To learn more about venue installations within North America, David Piccola can be reached via email, at DPiccola@MountainProductions.com.